Sonia Hogan | Welcome to Sonieland! | Page 2 Sonia Hogan – Page 2 – Welcome to Sonieland! Molly and I went to scout out a small laneway on campus for our criminal getaway/arrest scenes this afternoon. We thought this area would be a good fit for what we are trying to accomplish with the shoot. It looks grungy enough, but it is clean, has a decent amount of natural light, and isn’t a busy thoroughfare during this time of the year. It’s also easy for us to access as it is on the university campus. Molly and I are in the process of finalising the planning and shot lists for days #2 and #3 of production. For the Gaolhouse Rock scenes, Rohan suggested the Radio Theatre in Building 9 as an appropriate studio setting. He took us over to tour the space so that we could work out whether it would suit us. I think that the space is going to suit our requirements perfectly. I can really envisage what we’re trying to achieve here. Once we lock in a firm shooting date, Rohan said that he can book the space for us. 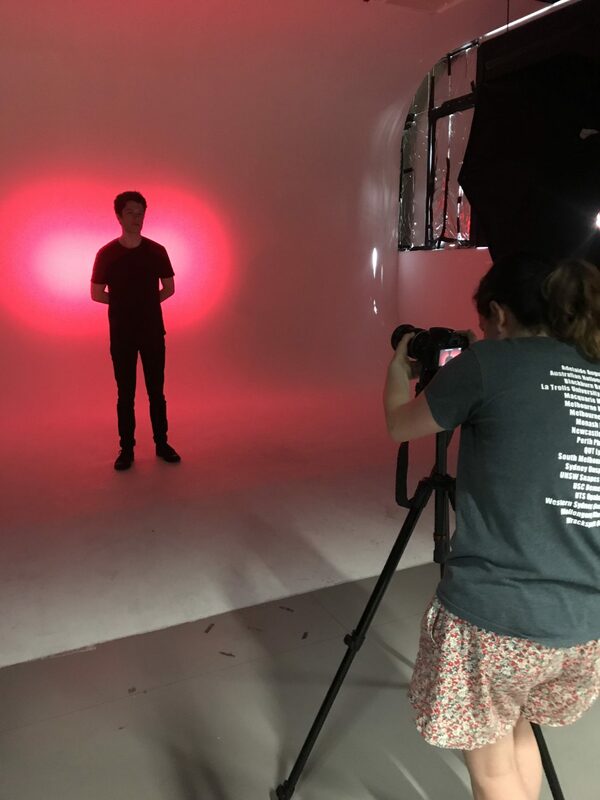 Yesterday was our first day of production for the music video. We decided to squeeze it in before Olivia went away to Perth so that we’d have some footage to start editing while she’s away. We planned to shoot at least 3-4 scene concepts during the day, including the retro red scenes in the white cyclorama studio, the mug shot and police lineup scenes in the green cyclorama studio, the external jail scenes in the RMIT Alumni Courtyard and some external getaway scenes as well. 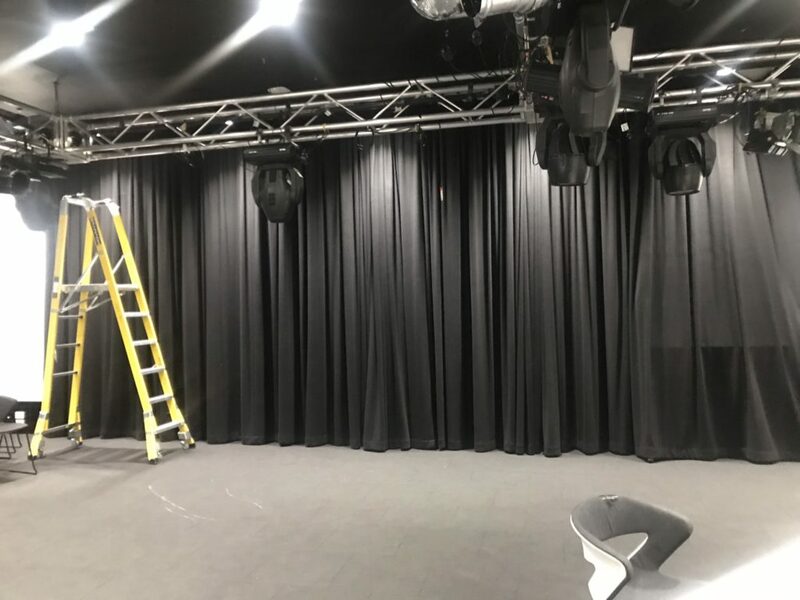 After describing my retro red concept in our pitch presentation on Thursday, Rohan suggested using the white cyclorama studio on campus in order to get the best lighting effect possible for the proposed scenes. 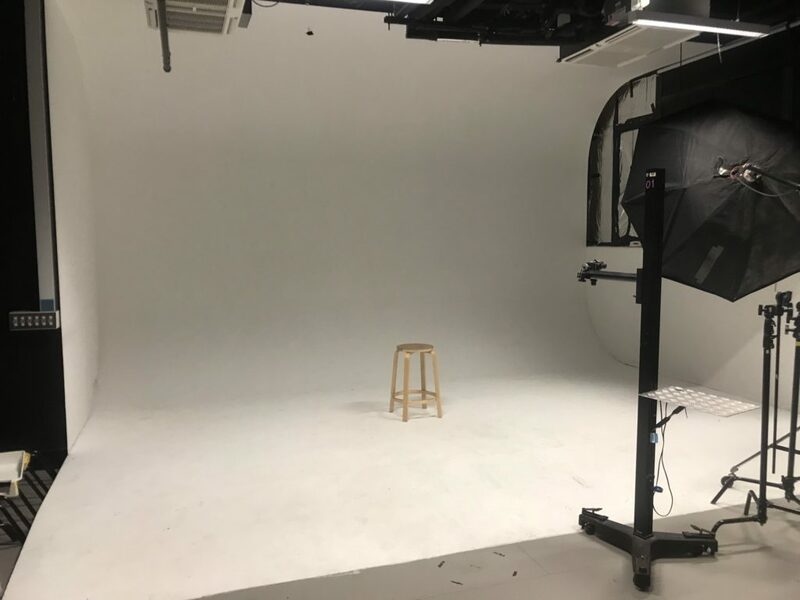 He showed a few of us the studio today so we could get an idea of what it was like, and explain the rules for using the cyclorama. It is perfect and I am so excited to get the opportunity to use it for our shoot!